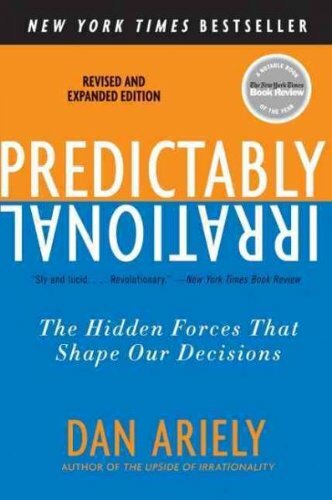 In this newly revised and expanded edition of the groundbreaking New York Times bestseller, Dan Ariely refutes the common assumption that we behave in fundamentally rational ways. From drinking coffee to losing weight, from buying a car to choosing a romantic partner, we consistently overpay, underestimate, and procrastinate. Yet these misguided behaviors are neither random nor senseless. They're systematic and predictableâmaking us predictably irrational. About: "A marvelous book… thought provoking and highly entertaining. About: This book has been read a few times through and has dog-eared pages. About: Why do smart people make irrational decisions every day? About: Why do our headaches persist after we take a one-cent aspirin but disappear when we take a fifty-cent aspirin?